The Harrison Talent Readiness technology enables you to easily identify talent pipelines for internal recruitment, succession planning and job rotation. It provides comprehensive decision analytics that address both qualifications and behaviours and enables you to reduce administrative time by more than 70%. Search which employees are most suitable for any job in the organization and invite them to apply to job openings. 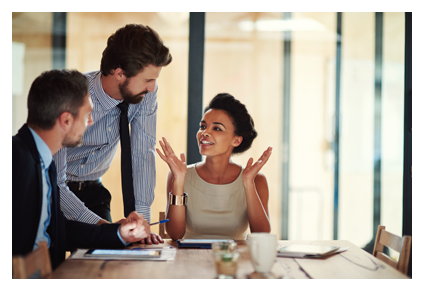 Reduce the time required for succession planning, promotion, and job rotation. 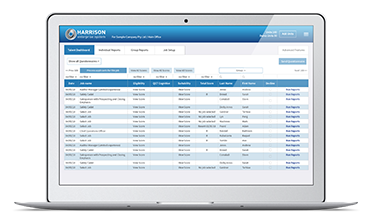 Our bulk invite function makes it easy to get all your employees in the Harrison System by importing employee names, positions, and email addresses. With a click of the button, you can invite them to complete the SmartQuestionnaire. This enables you to search all employees to find those most suitable for specific jobs. You can save more than 70% of your time related to succession planning and job rotation using the succession planning dashboard and analytics. When you have a job opening, you can request suitable employees to complete the job specific Eligibility Questionnaire that will measure their level of qualifications for the job. If your organization has customized behavioural competencies in the Harrison System, the overall behavioural competency score will appear on the dashboard. You can also choose to test the top candidates for critical thinking by inviting them to complete the QCT assessment which on average takes them only 20 minutes. Leadership Pathway or Specialist Pathway? Understand who has the potential to be an effective leader and who is better suited to specialist roles. Avoid turning your high performers into poor managers. Use the Talent Readiness System to bring a new effectiveness to job rotation by understanding which movements will fit employees. It is easy to select who to interview because the employees will be ranked according to their suitability and eligibility. The employer can then review comprehensive reports on the top candidates and use that data to enhance the effectiveness of the interview. The Job Success Analysis Report compares the individual to the job success behaviours of the new job. The Engagement Report identifies areas of the candidate's employment expectations and degree to which important expectations are currently fulfilment. The Interview Guide Report provides behavioural interview questions related to the new job, tailored to the specific employee. The interviewing method is designed to maintain a positive relationship with the candidate and further determine mutual employment needs as related to the new position.